5 I Forgot my AOL Mail Password. You will need to enter either your AOL Username or AOL email address, to sign in. AOL Mail was acquired by Verizon communication in 2015, but your old AOL email address, username and password will still work, and the AOL Mail service will continue. How to Login to your AOL Email account. You can access your AOL.com email account here. Note, that older AOL Mail login pages, like www.AOLMail.com, My.Screenname.AOL.com and Mail.AOL.com now re-directs to the current official URL at www.login.aol.com. You can also access your AOL email account by downloading the AOL app for Android or iOS (iPhone, iPad, iPod Touch) to view and reply to messages on your mobile device. 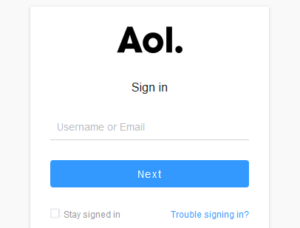 The official AOL Mail login page will look like this screenshot. Be aware that AOL usernames and passwords are case-sensitive. Loyal AOL email users may wonder what have happened to their preferred AOL login pages, that they may have bookmarked and used in the passed. The www.AOLMail.com website no longer exists. Entering the address in your web browser will redirect you to www.login.aol.com, instead. www.AIM.com, the AOL Instant Messenger website no longer exists, as AIM has been discontinued as per 15.December 2017. There is no a replacement product available for AIM. You can use your @aim.com email address to send and receive emails. You will need to login at mail.aol.com to access your AIM email account. The www.AIM.com domain now re-directs to www.aol.com. I Forgot my AOL Mail Password. 1. Go to the AOL sign-in page. 2. Enter your AOL username/screenname. 4. Click on “I forgot my password”. Still having problems? Share your problem in the comment section below. I haven’t been able to log in to my AOl email for 2 days. I get a message that it is unavailable. AOL Gold desktop is not working tonight! I need to get into my Aol Mail? Good morning. 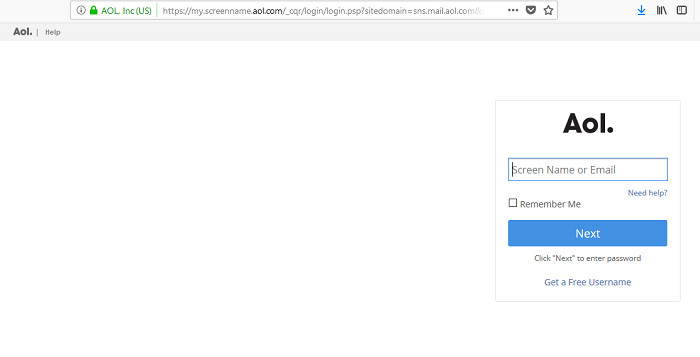 Recently Every time I try to get into AOL mail I am asked for my email address and password. What should I change so that I am not required to write address and password every time? Did work before. i NEED TO SIGN INTO MY aol mail account.